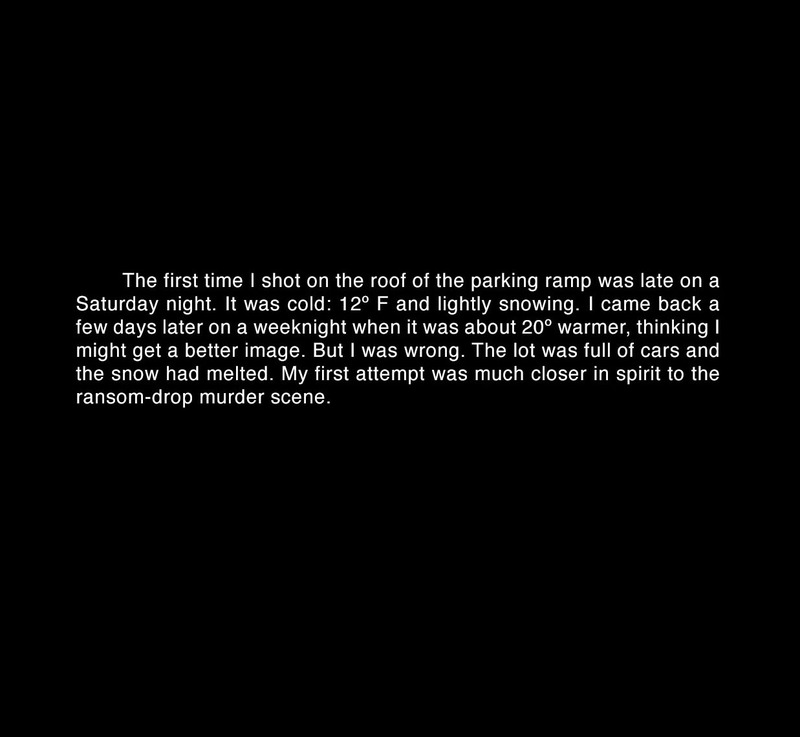 The first time I shot on the roof of the parking ramp was late on a Saturday night. It was cold: 12º F and lightly snowing. I came back a few days later on a weeknight when it was about 20º warmer, thinking I might get a better image. But I was wrong. The lot was full of cars and the snow had melted. My first attempt was much closer in spirit to the ransom-drop murder scene.